Rental property and home moving. Carpets are the finishing touch to any rental property or home which is up for sale and needs to be in a presentable condition. Whether you are a tenant, landlord or perhaps selling a property or moving into a new home, you’ll want to know that the property is as clean as possible. For reasons of hygiene, Carpets and Upholstery should be cleaned professionally perhaps every six to eighteen months. Our End of Tenancy Cleaning Service in Cheshire allows you to make the right impression with potential new tenants and home buyers. The first place a potential clients eye is drawn to is the flooring and carpets. Many prospective tenant’s or buyers would naturally need to know that the carpets do not harbour what the previous occupier has left behind. If the carpets are even slightly soiled, or there is a stain or two, it can give a poor impression which could lose a prospective tenant or buyer. Should you be purchasing a new home, it gives peace of mind to know the carpets have been freshly cleaned before you move in. End of tenancy cleaning in: Alderley Edge, Altrincham, Crewe, Nantwich, Hale, Holmes Chapel, Knutsford, Lymm, Middlewich, Northwich, Sandbach, Tarporley, Winsford, and Wilmslow. If you are a tenant you will want to ensure that the carpets are properly clean to recover your full deposit. 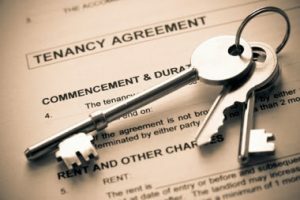 In our experience, most disputes over the recovery of tenants deposits are caused by the property not being in a re-letable condition due to cleaning issues. Should the landlord or agent find that the property requires cleaning after the tenant has left, they will naturally endevour to recover the cost from the deposit. Nowadays it is often a contractual requirement that the carpets are left how you found them. Also in many contracts it may be stipulated that the carpets are professionally cleaned after vacating the property especially where pets have been kept. Should you decide to have the carpets cleaned yourself, the landlord or agent will often require an invoice from a reputable professional company. If you have four rooms or more and those rooms are unfurnished, you will qualify for a discount of 20%. Example: 2 bedrooms + through room (lounge/diner) = 4 rooms. Please note that this discount would not apply where carpets are extremely heavily soiled and would require additional remedial work and downtime. 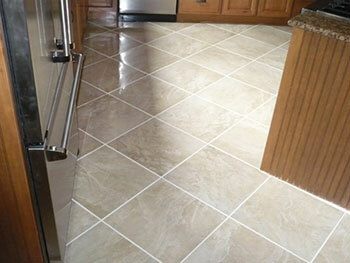 Did you know we also clean most types of flooring including kitchen tiles, stone floors and vinyls. I live away; can I leave you to look after the cleaning? Yes. All we need is the keys to gain access. We also require that there is electricity, water and heating if necessary. We have a good relationship with many local estate agents and we can liaise with them to pick up keys and return them when the job is complete. Additionally we can liaise with a friend or relative to meet at the property to gain access to carry out the work, and either call them when the job is complete or put the keys through the door for convenience. If you or the property owner are not able to attend, we do require that firm payment arrangements are made. Will the property need airing when the carpets have been cleaned? Yes. When the carpet cleaning has been carried out the carpets will be left just damp. When a property has been locked up following cleaning, there will be no where for the moisture to escape. Therefore it is essential that the property is aired and ventilated following cleaning. During the summer months most carpets will dry quickly and is not usually a problem. We suggest that during the winter months your property is ventilated and heated for 24 hours following cleaning. The carpets in my property are in a very poor state; is there anything you can do? Most previous occupiers will leave a property in good condition. However, from time to time, previous tenants or home owners are unaware of good housekeeping or cleanliness. We come across many homes where the carpets have been left in a very poor state and heavily soiled due either to traffic, pets or just general ignorance towards taking care. It is our experience in most circumstances that carpets can be brought back to an acceptable and clean condition. During the last 13 years that we have been in business and having cleaned many hundreds of properties, we have come across just a handful of cases where the carpets are beyond cleaning. Please check the gallery page to see some of the results that can be achieved here. What about stains and marks? We make every effort to remove stains. Most types of stains can be dealt with and are removed during the carpet cleaning process. There are however some types of stains that cannot be removed. Mostly these would be substances that have dyed the carpet such as coffee/tea (tannin), urine from pets, food colouring and fake tan etc. How much will it cost for carpet cleaning? Often price is reflected in the quality of service. We are fully aware and monitor what our competitors charge. We have found that our prices are probably the most competitive you will be quoted and offer substantial discounts where a property is unfurnished. We are not the cheapest, but we are aware that our competitors offering cheaper quotes cannot deliver the outstanding results nor the technology and experience that we provide. Additionally, we do not have the overheads of franchises or the dreaded VAT. In some circumstances we can give a quote or estimate providing that we have the room sizes without seeing the property. In this instance we would need to know the condition of the carpets and exact or approximate room sizes except for stairs which are a set price. Additionally, many properties that are on the market or to let, have an on line floor plan to which we may be able to quote from. Alternatively, we may be able to visit the property to give a firm quote and assessment. If you need to forward an enquiry, you can either call (the mobile no is best) or you can use the contact page via e-mail or call back request which is responded to either the same or following day. We cover the areas of: Alderley Edge, Altrincham, Crewe & Nantwich, Hale, Holmes Chapel, Knutsford, Lymm, Middlewich, Northwich, Sandbach,Tarporley, Winsford, and Wilmslow.